So, I passed the 70-346 exam yesterday, and heavy studying/preparation is already under way for 70-347 (hoping to follow up with that success very soon). Alright, calm down there R2D2; let's wait until we actually get the MCSE: Communications certification upon successful completion of the next exam! For those of you that are unfamiliar with the exam requirements for the MCSE: Communications, please review the first blog post in this three-part series. 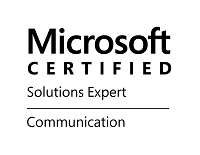 In that post, I mentioned that I have already completed the Lync Server exams: 70-336 and 70-337. Now, with 70-346 under my belt, that leaves only 70-347. The full title of 70-346 is "Managing Office 365 Identities and Requirements". For the full list of objectives and topics covered by this exam, check out Microsoft's official page for this exam: https://www.microsoft.com/learning/en-us/exam-70-346.aspx. I would love to point you in the direction of one of the lovely Microsoft Press Store "Exam Ref" books for 70346, but unfortunately, there is not currently one out. HOWEVER, it is in the works, and is available for pre-order on Amazon, if you are planning on taking the exam any time after July 10, 2015 (as currently displayed on the product page on Amazon). Here is the link for the book in case you want to pre-order: http://www.amazon.com/70-346-Managing-Office-Identities-Requirements/dp/150930066X/ref=sr_1_5?ie=UTF8&qid=1429281084&sr=8-5&keywords=70-346. Now, despite a good exam reference book not being available quite yet, there are still some very effective tools for getting well prepared for this exam. First, the exam details page that I linked to above lists out all the primary objective areas to clue you into the topics that would be good to get very familiar with. From that point, Technet and the https://support.office.microsoft.com/ offer extremely thorough details on everything you could possibly need to know for the exam. Granted, it is very difficult to go through and intimately learn all pertinent data directly from Technet documentation, but that is truly the ultimate source of knowledge for this material. In addition to pouring over documentation as mentioned above, the thing that I found EXTREMELY helpful at exam time was real experience, both within the Office 365 Admin Center, and with spinning up virtual test servers and testing various Directory Synchronization scenarios and Powershell cmdlets. To accomplish this, I signed up for an Office 365 Business Essentials account a few months back at the month-to-month rate for a single license ($6/month). This is very affordable, and will let you test most scenarios that the exam might throw your way. I became as familiar as I could with all the different areas within the Office 365 Admin Center, especially in regards to provisioning users, since the title of the exam suggests that that is the focus. Now, as far as testing remote management of the Office 365 environment, and synchronizing an on-prem environment with the Azure-based environment, this obviously requires a lab of some sort. I STRONGLY recommend doing this for preparation. However, I understand that costs can add up for such a lab. In my case, I did my testing on one or two virtual machines that I spun up in the Rackspace Managed Cloud. This can be fairly affordable for exam preparation if you simply spin up the servers for the timeframe you need, and then delete them once done. Billing is hourly, so you are only billed from the moment the servers are spun up to the moment they are deleted and no longer using up space on the host servers. While I prefer Rackspace (Disclaimer: my employment with this company may or may not make me biased), you could set up a similar lab environment with your Cloud provider of choice. Check out my earlier blog to read about what my small lab environment looked like in the Cloud: http://blog.msucguy.com/2015/04/office-365-directory-synchronization.html. Now, I will NOT go into detail about specifics of what you might find on the exam, obviously, but there are a couple helpful points that I can offer. First, just like with Exchange, Lync/Skype for Business, and various other Microsoft platforms, Microsoft offers a number of very helpful tools for anything from diagnostics to preparing your environment. Some of the tools that can be used for your on-prem Lync or Exchange environments can even be used to test out your Office 365 environment. 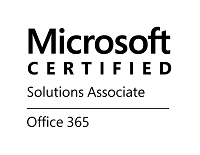 Take the time to get to learn all the available diagnostic/connectivity/preparation tools available for Office 365, and try to test some out if possible for a more solidified understanding of their usefulness. The second, and final, point that I will make in getting ready for this exam is one that you may have heard echoed for many of Microsoft's exams over the last couple years. Powershell has become hugely integrated with a large number of Microsoft Server applications and operating systems, and Office 365 is no exception. Take the time to learn how to manage your Office 365 environment, resources, and users in both the available Office 365 Administrative Center, and in remote Powershell cmdlets. If nothing else, this will be extremely useful in your day-to-day management of your own Office 365 environment. Well, that's all I've got for 70-346. If you plan on taking this exam, the best of luck to you! You will hear from me soon on my experiences with 70-347, hopefully within the context of two new certifications!